Advocacy Day (formerly known as Lobby Day) has long been a tradition at HBSON. Since 2000, faculty and students have partnered with the Nurse Practitioners of New York (NPNY) to visit Albany every March to discuss their legislative and budget priorities with legislators, highlighting and sharing information about the issues most affecting nurse practitioner (NP) practice, community/public health, and social justice. Students have the opportunity to participate in answering questions legislators may have about NP practice and how it contributes to the US health care system. Advocacy Day offers a way for Adult-Gerontology Nurse Practitioner (AGNP) students to learn about policies and legislation that will affect their practice and the health of the nation in general. This activity is typically planned with faculty teaching AGNP courses offered in the spring, including Primary Care Nursing 3 (NURS 768) and/or Health Promotion and Disease Prevention in Diverse Populations (NURS 749). This activity is popular among students because it is interactive and novel. The majority of students have never participated in this type of advocacy and are surprised and pleased that legislators and their staffs are so open to meeting with constituents. 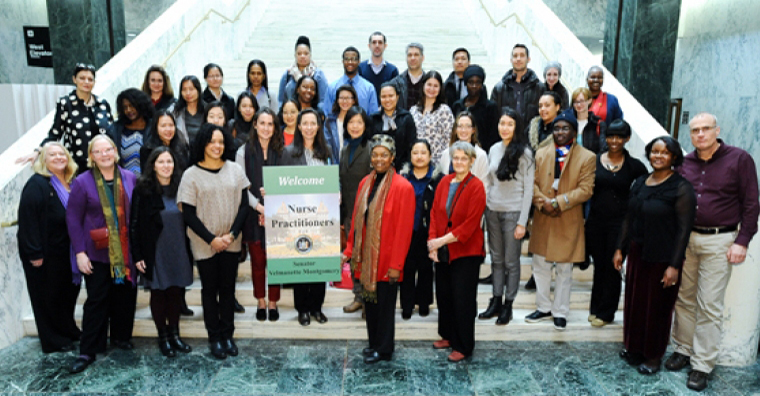 It gives students the opportunity to articulate what NP practice involves and advocate for their profession and the health of the residents of New York State. Senator Velmanette Montgomery, a great advocate for NPs, addresses the group each year. 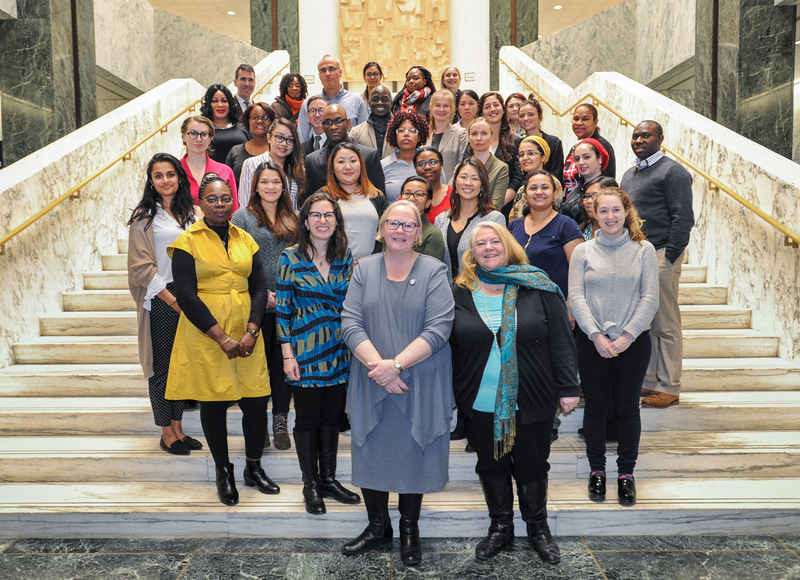 Happily, in recent years legislation supported by NPNY has passed, including the NP Modernization Act (2015) and New York State Paid Family Leave (2016)—very exciting for students who helped educate legislators about the importance of the bills!